Of all the BMW models that hit the shores of the USA these days, one classically European style of vehicle is still a rarity over stateside. Yep, we’re talking Touring – we have to admit that was kind of have a soft spot for these Longroof cruisers, and this one in particular is a great example of what you can do with the new F31 3-Series Touring chassis. Here’s the story of one owner’s build, and how his tastes influenced the car you see today. Of course, most of us have to build with the concerns of our families and significant others in mind as well if we’re not building an outright trackday toy. When the F31 debuted, this couple saw it and immediately knew their A4 Avant would soon be going the way of the dinosaur. And like many of us, before the car ever left the showroom, the wheels were already turning as to how to tailor the F31 into something unique. 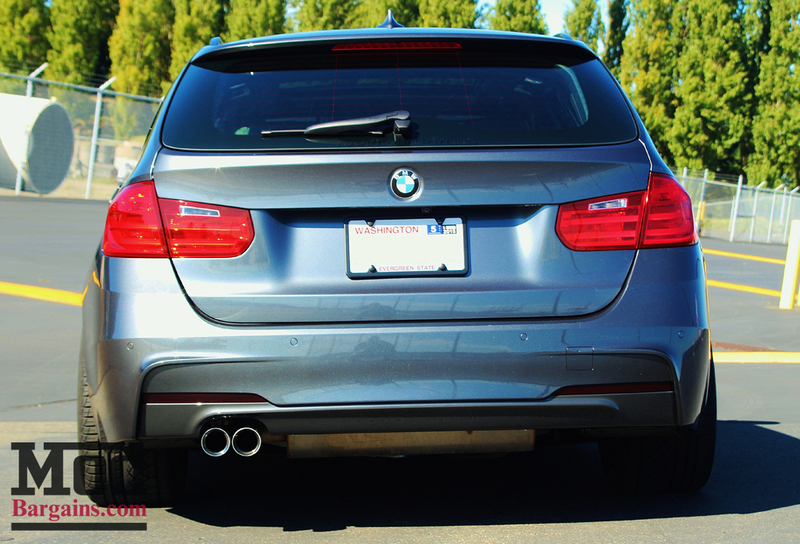 “I’ve always loved the lines of European cars from as young as I could remember switching interests back and forth between different generations of BMW, Audi, and VW primarily. I always look at a car as a blank canvas, and try to envision what the car could look like if it had better wheels or a better stance. Growing up I spent a lot of time in Orange County in Southern California, since all of my extended family is there so I got the car bug very young. I never really gravitated to the JDM cars, as I did the Euro side of customizing and styling.” The owner tells us, and the influence of car culture on the styling of his build is definitely noticeable. 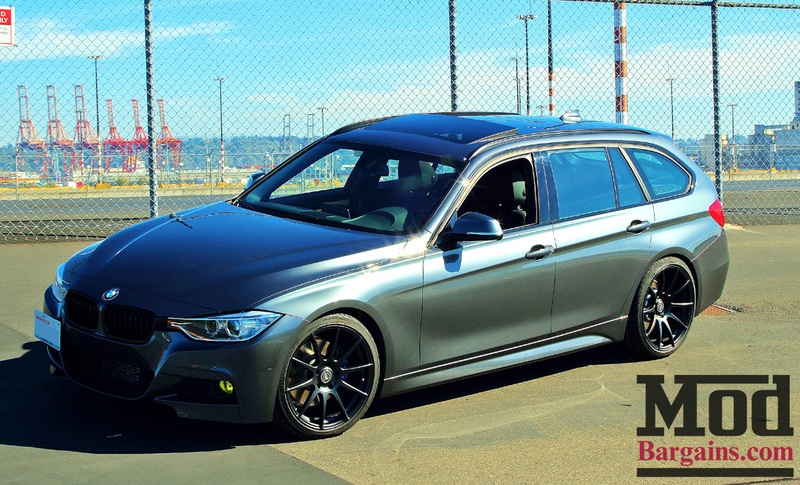 Giving this 2014 BMW 328xi M-Sport Touring Wagon an aggressive stance is a set of H&R Sport Springs for F31 3-Series Touring, complimented by a set of Forgestar CF10 Matte Black Wheels for BMW in 19×9 ET35 up front and 19×10 ET43 in the rear, wrapped in Continental DWS 245/35-19’s in the front and 275/30-19’s, rocking the staggered all-seasons for a great look regardless of whether you’re driving on snow or pavement. Taking the aggressive look a step further, the BMW Performance M-Sport Big Brake Kit for BMW F30/F31 (in blue) gives the car the stopping power befitting the car, and the M-Sport Style Side Skirts help lend to giving this F31 a sportier look. A pair of Gloss Black BMW Performance Kidney Grilles for F30 up front help enhance the sporty aesthetic by ditching the chrome Kidneys, and a No-Holes license plate holder for BMW relocates the front plate in a handsome way that doesn’t obstruct airflow while also still legally displaying your front plate. 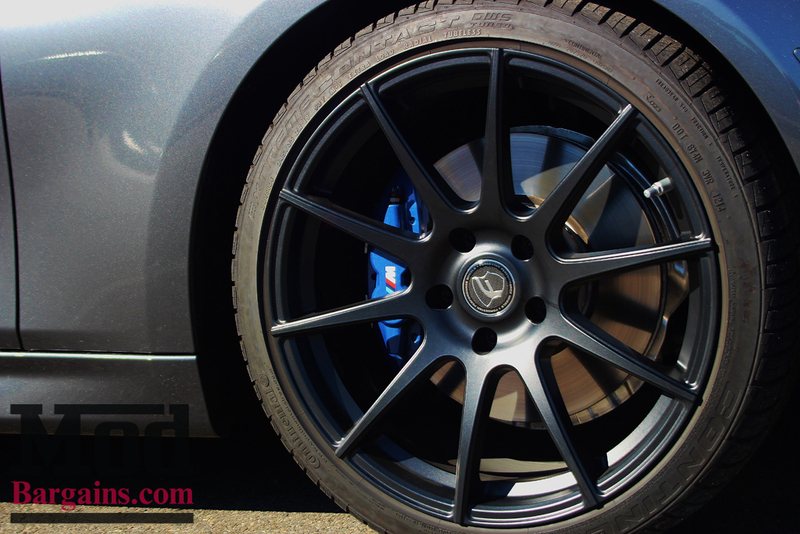 In addition to the cosmetic modifications, a few performance modifications were in order as well. We didn’t have to look further than aFe Power to pull a big chunk of power out of the Turbo 4 under the hood of this M-Sport. 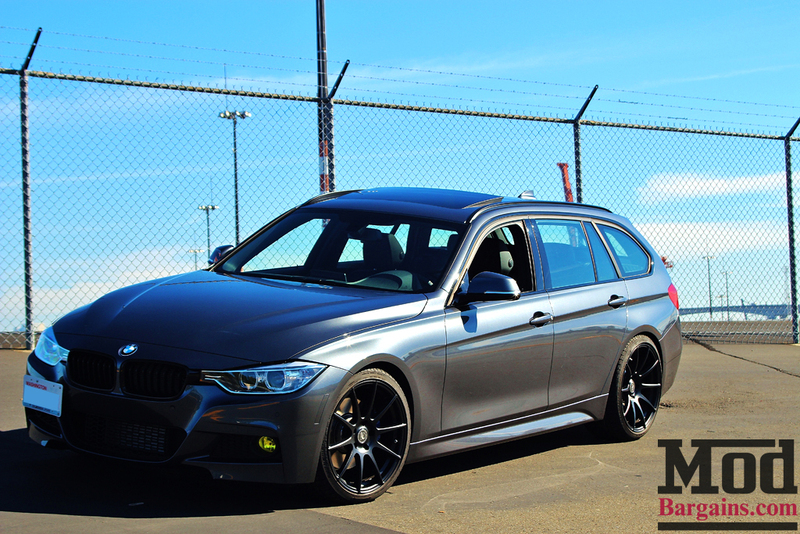 With an aFe Power Momentum Stage II Intake for N20 for F30/F31 and aFe Power Scorcher Module for N20 BMW F30, which are available as a package with the aFe N20 Intake + aFe N20 Scorcher Module, which combined yield a massive +43whp and +54wtq gain, significantly enhancing the output of this F31. The focus of attention of this build and intent behind it offers a level of clarity that we all wish we could have with our own builds – this F31 does everything that it’s asked to do and do it well. While this couple knew what they wanted, it wasn’t without a little help from the Mod Experts that this build was able to materialize. 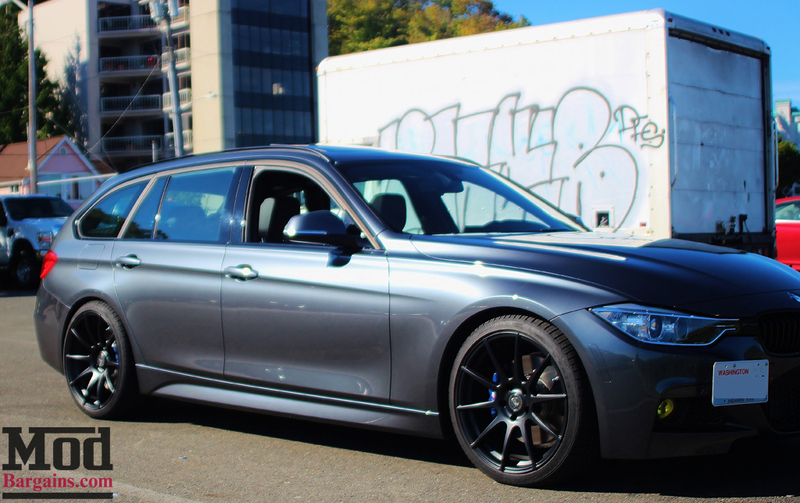 Interested in modding your BMW? 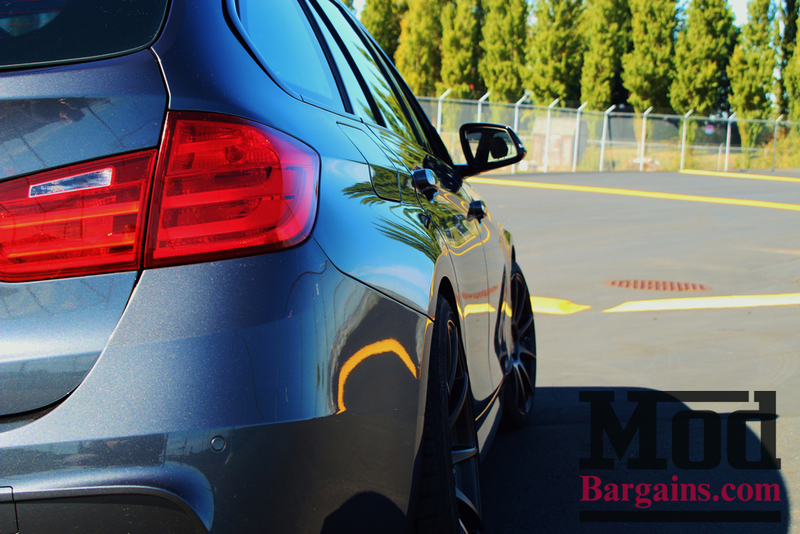 Talk to the Mod Experts – call us at 714-582-3330 (x8006 to speak with Alan directly) or email us any time at [email protected] – our friendly and knowledgeable Mod Experts have the experience to recommend the parts that best suit your taste, budget and goals and can offer guidance if you’re not sure about a particular mod. Thanks for reading, we’ll see you next time.